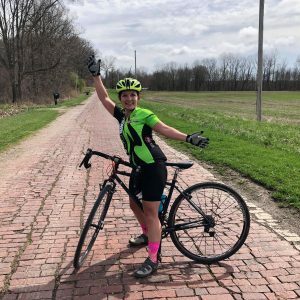 MEET THE 2019 WOMEN'S ADVENTURE GIVEAWAY WINNERS! Hi, My name is Bridget. I’m originally from Oxford, Mississippi, but left there after high school and traveled many places as I pursued my undergraduate and graduate education. I loved all things physical activity. I was a triathlete, a spin instructor, a gym rat, you name it. I did all this while also battling chronic illness in the background. I have a myriad of health issues, with the most significant being my autoimmune liver diseases. The easiest way to sum up what happens with these diseases is that your immune system attacks your own tissue (similar to other autoimmune disease processes like lupus or multiple sclerosis), in this case it is my liver and bile ducts. Eventually, that causes the liver to fail and require transplant. Selfless plug…be a donor!There is no treatment, and no cure. My “eventually” finally came in 2015. Unfortunately, my autoimmune diseases returned in my new transplanted liver, and medication side effects are tremendous; this has created a new normal for me, but one I am thankful to even have. I will need another transplant, but it isn’t something that I let impact my life. I take advantage of my good days, and dream of the next good one when I’m down. A positive attitude can change everything. I am married to the most wonderful man on the planet, Alex (it’s true… ask anyone). He has been my rock through more things than most people see in a lifetime. My true life partner. We also have an adorable rescue greyhound named Roxie, and foster rescue greyhounds as well when we can. Adopt one, you won’t regret it. I also have the most amazing family and friends that a person could ever be gifted with in their life. As far as hobbies go, just being outdoors; it’s therapeutic for me. No matter how bad I feel, just being in nature makes me feel better. As long as I can keep that part of my life, I will feel whole. You can find adventure just about anywhere, if you take the time to look. The best advice I can give is live life full, every chance you get; it’s an honor to soak it all in. Hello! My name is Kristin Parsley. I grew up in a small town in North Florida, Defuniak Springs but currently reside in a quaint mountain town in Tennessee, Signal Mountain. By day, I am a physician, board certified in pediatrics and clinical genetics and currently practice as a clinical genetics physician, both at Erlanger Hospital and Mercy Health Care system. I was formerly the Medical Director of Tallahassee Memorial Clinical Genetics Center and Assistant Professor/Pediatric Clerkship Director at Florida State University College of Medicine. I completed a clinical genetics fellowship at University Hospital/Children’s Colorado in Denver, Colorado where I particularly enjoyed many outdoor pursuits. The Rocky Mountains are amazing! I attended the University of Alabama School of Medicine for my MD and the University of South Florida at All Children’s Hospital for pediatric residency. I currently serve on the National Editorial Board for PREP SA Journals for the American Academy of Pediatrics. Both as an adoptive mother and as a physician, I am exceptionally passionate about children with complex special health care needs, foster/adoption medicine, and hereditary cancer syndromes. My children have truly shaped the person I have become in countless ways. As a parent with kids who have special needs and a multi-racial family, we all should embrace our differences and accept that our everyday heroes are really those individuals who overcome their challenges by finding the strength to persevere and achieve wonderful things despite the obstacles in their way. This inherent belief has defined my family and my career path. Hannah seems to have a problem sitting still. An avid Ultimate Frisbee player, swing dancer, trail runner, climber, coastal kayaker, and road cyclist, Hannah will try anything at least once. 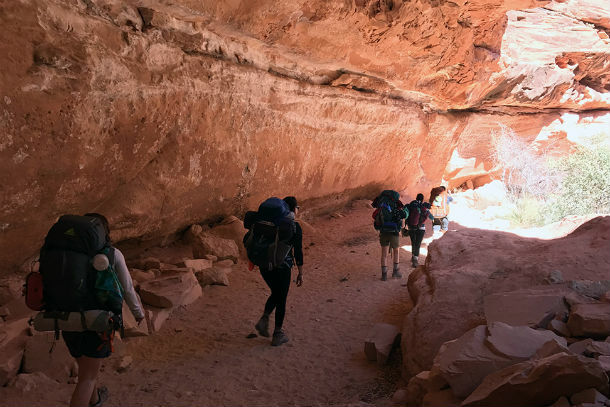 She is also energized by the opportunity to teach and serve others in the context of outdoor adventure. 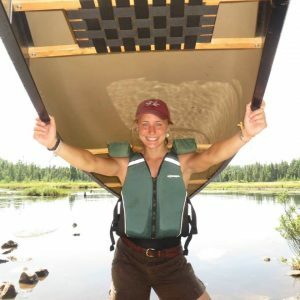 She will graduate from Indiana University (on her birthday) in May 2019 with her Masters in Recreation Administration after two years of working with Indiana University Outdoor Adventures as an instructor, trip leader, and coordinator of the Group Adventure Program. Community life and dear friendships form the bread and butter of Hannah’s life. 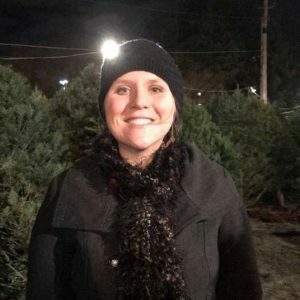 She is an active member of the Bloomington Ultimate Frisbee league, a member of the Unitarian Universalist church, a singer with the Voces Novae choral group, a volunteer at the Shalom Community Center, a former member of the Bloomington Cooperative Living (BCL) community. She came into this world with a little community of her own: Triplet siblings (Claire and Owen) whose accomplishments continue to inspire her every day. Her love for the outdoors, meanwhile, was piqued by a 56-acre patch of paradise in Morrow, Ohio lovingly tended to by her parents (Chris and Laurie) and explored by their rainbow coalition of Labradors. Hi, my name is Chelsea Kizer. I currently live in Clinton, Indiana. I was born in Danville, Illinois and moved around quite a bit before settling down in the Wabash Valley. I am married to a very supportive husband, have three amazing children, and two crazy dogs. My parents divorced when I was little, so I am blessed to have a large family and eight sisters. Currently I attend grad school and am working on my master’s degree in nursing to become a family nurse practitioner. I work part time as a hospice nurse. After graduation I hope to work in family practice and hospice. Family, school, and work keep me very busy. In my spare time I like to be with family. I also like to ride bikes, be outdoors, and knit. When you have almost as many sisters as an athletic team, it makes for a busy year of birthdays and get togethers! I really look forward to spending time with all of my nieces and nephews whenever I can. Bikes have changed my life! 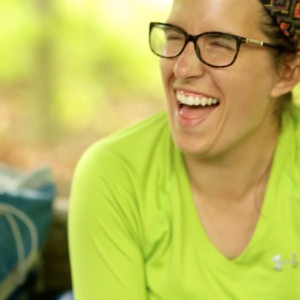 I first started mountain biking at an all-women’s mountain bike camp in Brown County. From there I was hooked and really enjoy my time in the woods on a bike! My husband and children all love bikes, so it is a great thing to do as a family. My husband’s grandmother taught me how to knit, so in my spare time I try and make blankets! (I’ve probably only finished two- but it’s fun to try!) My children are very active in sports, so depending on the season we spend our time in a field or the bleachers. Me time is rare- so I am really looking forward to disconnecting in the woods with a great group of women! DNK Presents founded and hosts an unprecedented event each year, the Live Adventurously, Women’s Adventure Giveaway. This event is a chance for people to nominate a woman in their life to win a customized extended backcountry adventure weekend guided by Danielle and Kate. In 2016 they produced a documentary film, “Live Adventurously”, following the women who won the giveaway. To learn more about the film visit their website at https://www.liveadventurouslyfilm.com/. Have someone in mind? Share her story with us for her chance to win a life changing wild adventurous weekend with DNK Presents! Interested in having a Giveaway in your area? Contact us for more information. Become a sponsor for a woman to win a life changing wilderness adventure! The winners will win a 4-day backcountry adventure in Indiana guided by Danielle and Kate Nolan, including over $1,500.00 in free gear and swag to take on their next adventure. Check out the video to get a glimpse of what you can expect on this great adventure.  Contact us at hello@dnkpresents.com if you have any questions. 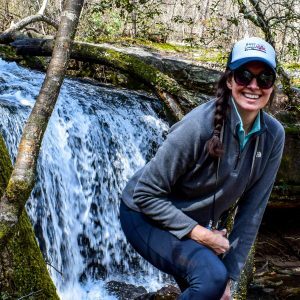 MEET THE 2018 WOMEN'S ADVENTURE GIVEAWAY WINNERS! Hi! 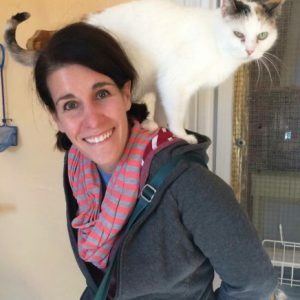 My name is Emily, and I’m a pediatric occupational therapist in Indianapolis. I don’t have any kiddos (except the 30 or so that I treat every week :), but I have been married for 8 years and I have 4 amazing, funny pups! When I’m not at work I love to read, play games, and create things. I love a good football game or show on Netflix, and my grandma recently taught me how to crochet (I’m getting better…slowly)! When the weather is warm I love to be outside playing in my garden or sitting around the fire at my parents camper. I LOVE going to races at the Indianapolis Motor Speedway in the summer, too! I enjoy traveling and do get to do a little once a year or so. My ultimate passion, though, is my family. I have 14 nieces and nephews and am extremely close with my parents, sister, grandparents, and aunts and uncles. If I could only do one thing for the rest of my life I’d just hang out with all of them! I was born and raised in Loveland, Ohio, where I grew up riding my bicycle, playing in the woods, swimming in the Little Miami River, and riding horses. I was a huge tree climber and loved to read books while hiding in a tree. My parents ingrained in me a strong work ethic, a love for my country, and a desire to serve others. I joined the Ohio Army National Guard when I was 17 years old and served with my father and oldest sister. With a desire to write and teach, I graduated from the University of Cincinnati with a B.S. in Secondary Education with concentrations in English and History. Eventually, my husband and I moved to Indianapolis to live near my sister and her family. Our little family consists of two children and a dog. I am currently a high school English teacher in Greenfield, Indiana. In 2006, I attended the Feminist Leadership Academy (FLA) in Cincinnati, which led me to start a small business Women Writing for (a) Change, Indianapolis where I teach writing classes to adult women. When I am not teaching or writing, I love hiking, walking, kayaking, camping, and reading. With an active family and a teaching life, I find I don’t get to regularly do what I love. I am hoping to change that. Hello! My name is Myra Ansley. I grew up in West Lafayette with my two sisters and parents. In high school, I fenced in the Junior Olympics. I graduated from IU with a degree in supply chain and marketing from the Kelley School of Business. After moving to Indianapolis to start my career at Eli Lilly, I found the magical sport of rowing and was quickly hooked. What’s not to love about being on a beautiful lake in the woods and sunshine, pushing every muscle in your body to maximum exhaustion, while focusing your attention on every minute technical detail? 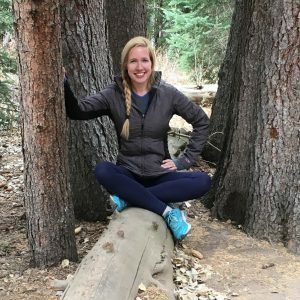 After an injury in 2015, I realized how healing nature is. I spent most of my time outdoors; strolling through the woods, bathing in the sunshine, or floating in the lake. I had the beautiful gift of time; to heal, to develop a deeper meditation practice, to be creative. I realized the joy that can only be found when you create space and time for yourself. During this time, I starting making gifts for my rowing teammates. This quickly escalated into a small business of rowing-related gifts called Starboard Souvenirs (I’m on Etsy). I have passion for learning and experiencing new things, which explains my eccentric collection of hobbies and broad knowledge. I throw awesome dinner board game nights, make jewelry, woodwork, garden, cosplay, scrapbook, and have an often neglected feminist blog, “Unfolding Quite Wonderfully”. I’ve watched all of AFI’s 100 Greatest Movies and read a lot of non-fiction about science. I also love to dance (contra, country line dance, swing or just at the club). I love to travel; I’ve been to about 40 of the US States so far, and I have a goal to experience a new country each year. So far, my journeys have taken me to cracking open a conch shell with my bare hands in Puerto Rico, snorkeling in a Bahama coral reef and scaling the CN Tower in Canada. I’m in love with my life and welcome the next experience, whatever it may be! I am a city girl, born and raised in Indianapolis, In. I married a country girl, born and raised in very small town in Indiana. We are complete opposites but both intrigued by each other’s environment in which we were raised. It has made our 7 years together interesting and sometimes challenging but the best 7 years of our lives. We currently live in Indianapolis. My wife, Melissa, and I have been married for almost two years now. We have 3 fur children, 2 cats and 1 dog. Beyond the excitement of her career as a Reservist in the Army and a Police Officer with IMPD and my career as a Territory Manager for Sherwin-Williams, we very much enjoy spending our free time outdoors. We are campers, boaters, hikers and motorcycle enthusiasts. We are currently taking advantage of living our lives adventurously until we make or adopt human children. MEET THE 2017 LIVE ADVENTUROUSLY GIVEAWAY WINNERS! Native of nowhere and Denizen of everywhere, master of none and Jill of all trades Natasha currently resides in the cozy hills of Lexington Kentucky. If she’s not out shredding the gnar or touring the local arboretum she can almost always be found with her hands in the garden. Natasha’s partner in crime is a 3 year-old border collie mix named JD Riley (he’s named after her favorite local printmaker) who keeps anyone within eyesight busy with his favorite game of fetch. She is supported in her pursuits by her parents and family, and has the cutest (no, really!) little brother named Lucas. With a passion for culinary arts, social activism, fine arts and music she stays quite busy keeping up with the thriving culture nestled in the hills of Appalachia. After 27 years of searching for the “answers” she has learned that they don’t always come easy- if ever and Natasha is very eager to explore what’s to come next. With a penchant for adventure and a heart full of wonder, this kid plans sticking with her “Lost Boys” forever and never having to grow up in Neverland. Try and keep up- if you can! Hi, my name is Suzi Dillon. I started out in a smallish town called Logansport, where I grew up playing sports, taking dance lessons, reading constantly, and tumbling through life with my sister Marcie and brother Eric who are two of the funniest people I know. My parents, Kirby and Peggy, are a huge influence on me, instilling in me good work ethics and a tree-hugging mindset, as well as a love for hiking, morel mushrooms, the Bears, Cubs, and IU Basketball. In 2000, I graduated from Indiana University, Bloomington with a B.S. in Computer Science and later from Indiana Wesleyan with my M.B.A. While in Bloomington, I played rugby for the IU Women’s Team, helped coached the Bloomington High School Girls Rugby Team, camped/hiked/kayaked as much as possible, and rarely slept. After graduating from IU, I moved to Indianapolis to take a job with Eli Lilly. I currently work in the Connected Care division where we create companion devices for our patient therapies. In 2001, I started coaching the North Central High School Girls Rugby Team. Then three years ago I started the Washington Township Middle School Girls Rugby program too. It’s time consuming, but seeing the girls grow makes it worth it year after year. When I’m not coaching, I love hiking, running, traveling, reading, writing, and salsa dancing. I have recently started country line dancing, but mostly because I like doing things I have no clue how to do. I write for fun and have published two novels, Loving Lily and The Silver Lihat. I’ve also started volunteering at Cats Haven, and by “volunteering” I mean hanging out and lovin’ on some darling fur balls. Finally, and quite possibly the most fun, I am the lucky Aunt of three amazing and adorable little ones Olivia, Roxy, and Henry who have changed my whole outlook on life and never cease to be terrifically entertaining. Hi! I grew up on the southside of Indianapolis, and am a proud IUPUI alumni. While in school, I was introduced to service learning and servant leadership through AmeriCorps and the Community Service Scholars program, which forever changed my life path. I grew up watching my parents serve at church and in the community, but experiencing community service first-hand in college is what lead me to a career in the non-profit sector. I had the amazing opportunity to be an AmeriCorps member, a team leader for America Reads, and to intern with Big Sisters. After college I worked as a youth program manager at Concord Neighborhood Center, and then in development with United Way of Central Indiana for several years. Today, I have the privilege of helping inspire girls to be strong, smart, and bold through my role at Girls Inc. of Greater Indianapolis. My most important role in life however is that of mom to my two boys, Jerimiah and Gabriel. They continue to teach me things every day, and are the joy of my whole world. I am incredibly blessed to have a wonderful husband, Scott, who is a phenomenal cook and a great dad. I love to play outside, spend time with my family, sing really loud in my car, and travel any chance I get. So far I’ve been to 11 different countries and hope to one day have visited every continent. You can usually find me cheering at one of Gabe’s many sporting events, doing yoga at CITYOGA, laughing with my sister, or serving in the children’s ministry at Heartland church. Little known facts: my favorite TV show will forever be Sesame Street, if I could be any animal I would be a bear (who doesn’t want to sleep all winter! ), and I make a killer pumpkin pie. 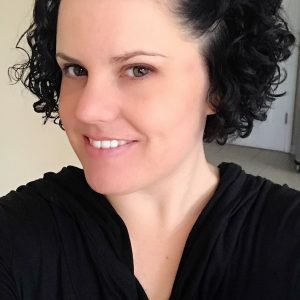 Amanda currently resides in Greenfield, IN with her husband and three sons. She grew up on a large farm in Central Ohio where her love of farm life was cultivated. She was also an avid 4-H’er and won numerous awards with livestock. 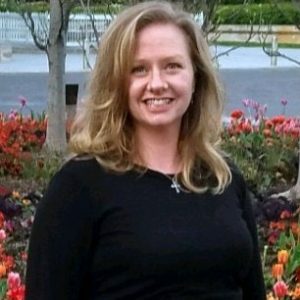 After receiving a degree in counseling and biblical studies from Word of Life Bible Institute, she spent the next two summers counseling youth at two faith based organizations located in Upstate NY and in Hagerstown, MD. 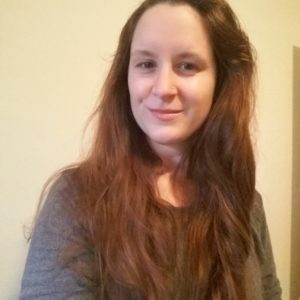 Amanda also studied art and design at The Ohio State University and hopes to eventually incorporate her appreciation of art into an “art as therapy” program at BCF. 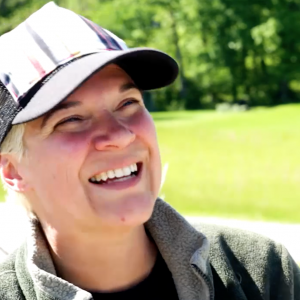 Her current role as director of Volunteer Outreach at Brandywine Creek Farms allows her to pursue a passion of ministering to youth, connecting them to the beauty of outdoors while learning about farm life and, most of all, the joy of giving back to their community. Hear what our past winners are saying! None of them knew each other, or exactly what was in store for them, but they all left with something much more than they had ever imagined possible. MEET THE 2016 LIVE ADVENTUROUSLY GIVEAWAY WINNERS! Born and raised in the Hoosier State, I am a proud North Central and IU alumni. By day, you can find me at Launch Fishers or working remotely at one of the local coffee shops for Enterprise Strategies as the Community Manager- an Indy based boutique consulting firm specializing in digital transformation and enterprise social. By night, you usually won’t be able to find me because I am babysitting or pet sitting for what seems to be the entire greater Metropolitan area of Indianapolis. In my free time, I enjoy kickin’ it with the two of best friends- my grandmas (they are both named Judy- how cute!!!). My grandmas are my favorite travel companions, life advisors, and all around just amazing women. My younger brother Sam is the person who inspires me the most. In the Spring, I am on the Rugby field volunteering as an assistant coach for the North Central Girls Rugby team and the Washington Township Middle School Girls Rugby team. I recently began volunteering with the American Foundation of Suicide Prevention-Indiana Chapter and am looking forward to the Out of Darkness Walk this September in Indianapolis. I am a true believer in reframing bad days into “plot twists.” I keep Land O’ Lakes in business with my love for baking, I am known for watching TedTalks when I should be working, and I have perfected the skill of blurting out ridiculous facts I find on the internet at inappropriate times. Candice Baggett grew up on a horse farm in Central Indiana. This instilled in her a love of nature, animals, and the outdoors. 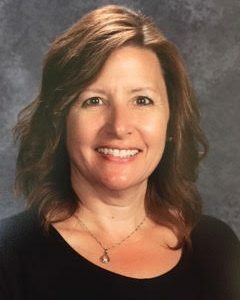 She graduated from the University of Indianapolis and from Butler University where she received degrees in music education and piano pedagogy. While in grad school at Butler she met her husband, Ryan Baggett, at the Circle Tower Starbucks where they worked. Together they created two amazing and confident daughters who inspire them everyday. By day, Candice works as an elementary music teacher on the west side of Indianapolis. She leads an after school choir and volunteers as a coach for Girls on the Run. When not at school she teaches yoga, swims with a Masters Swimming team, and runs Indy Yogi with her husband. 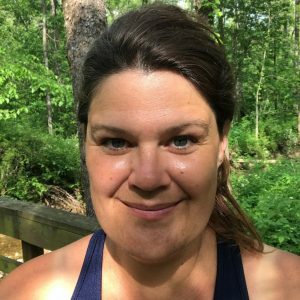 Indy Yogi is a print and online publication dedicated to educating Indiana about the benefits of yoga and a mindful lifestyle. Hi! I’m Ali Lemberg. It is my joy and privilege to be a stay at home mom to my two boys, Trey (4) and Craig (2). My husband, Rick and I will have been married for 7 years in July, and we are blessed in life. Life has been a series of adventures for me. I believe in giving everything my best effort and treating others as I would like to be treated. God has smiled on me greatly, although at times I have questioned the plan. In 2003, I contracted Parvo Virus that led to Epstein Barr while training for my first marathon. This resulted in disability from work, daily physical therapy and occupational therapy, walking with a cane, then riding in a wheelchair, and eventually a trip to the Mayo Clinic to get back to healthy. After 2 years of recovery, I was determined to get back to running. I decided to run the Mini Marathon in 2007 as soon as I was able. I did it, and I was super pumped! At the same time I was getting better, a dear friend, Larry, developed lymphoma. I decided to run my first marathon in his honor and fundraise for The Leukemia & Lymphoma Society. This was a decision that changed my life. As I trained for Larry and met fabulous people fundraising and training, I began to set bigger goals for myself. I wanted to be an Ironman. I wanted to do events that I had previously been unable to do, and I wanted to make a difference in the process. While working up to the Ironman, I did numerous marathons, century rides, and triathlons while fundraising for The Leukemia & Lymphoma Society. In 2015, I finished Ironman Louisville. It was not the race I had planned, it was somewhat of a trainwreck. However, I am an Ironman. I thought I would be changed by the race and the experience. The only thing that changed was the way others see me. Nothing changed in my eyes. I am still Ali Lemberg, wife to Rick, mother to Trey and Craig. I am still setting goals, and I am still trying to better myself. What I have realized is the gain is often in the efforts, not in the final result. I try to teach my boys this lesson every day. It isn’t about what others think of us. What is important is what we think of ourselves, that determines who we are. 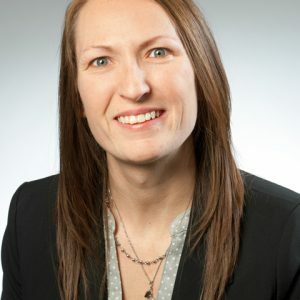 After completing law school at Georgetown in 2006, Michele spent three years in Los Angeles working at Latham & Watkins before relocating to Indianapolis in 2009. Michele’s journey back to Indiana began with a Jimmy Buffett Concert, several margaritas, and a charming Hoosier. Ten years laterMichele is still drinking boat drinks with Aaron, and doing her best to answer the most interesting questions from their inquisitive four year old daughter Izzy.